1. Thank you for taking your time! I’m really glad we can discuss Pererin music.Where did you grow up and what were some of your influences as a young boy? I grew up in a village in WALES/CYMRU with the longest name in Europe: Llanfairpwllgwyngyll gogerych chwyrndrobwll llantysiliogogogoch!! When we were kids we used to get some great tips[money] from tourists for saying the long name, we would buy tons of sweets!! We were 60’s kids and we grew up in the sounds of the Beatles and the Rolling Stones but after SGT.PEPPERS LONELY HEATRS CLUB BAND LP we were moving into the 70’s looking for something more exiting and experimental. We found PINK FLOYD, GENESIS, the early FLEETWOOD MAC and many great bands like CREAM, FAMILY, MAN [from Wales], and BARCLEY JAMES HARVEST. We were listening to PROG.ROCK all the time and I remember listening to KING CRIMSON on the first night it came out and we had learnt all the songs by the morning!! 2. Were you in any other groups before forming Pererin? Yes I was in many Blues bands playing stuff like ERIC CLAPTON. We had many strange names: THE SWAMP, ARCHIMEDES PRINCIPLE and RESURRECTION. We should have recorded the songs we composed with RESURECTION because it was a really great band. We were allowed to have a rock concert in a very large and old cathedral. I still dont know how we got permission! 3. How did you guys came together to form Pererin and why the name Pererin? We had moved on from RESURRECTION and wanted to form a prog folk-rock band in our own ethnic language that is WELSH/CYMRAEG. 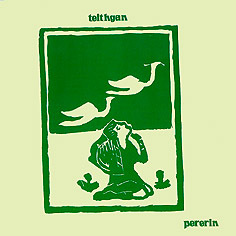 So we got some good musicians together and decided to call the band PERERIN because thats the Welsh word for Pilgrim. We are all vistitors traveling like PILGRIMS through this world. 4. 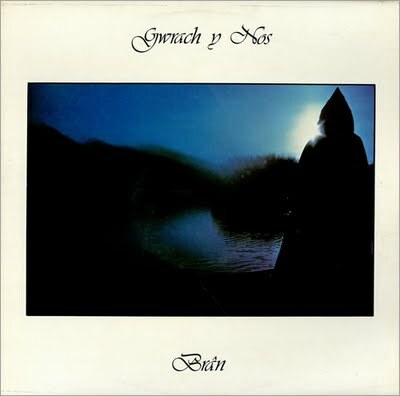 In 1980 you released your first LP called Haul Ar Yr Eira. I would like if you could remember some of the strongest memories from producing and releasing this LP? This LP was recorded in an old COW SHED!! We had a brilliant engineer and producer and they performed miracles in such a place . Somehow we also got a grand -piano in there!! I remember our bodhran drum player EINION WILLIAMS had to play his drum in the very small corridor on the way in to the studio, to get sound seperation. There was a great vibe to the whole recording and everything was going great. We had to do it all in 2 weekends. IN THE COW SHED STUDIO!!! near CAERNARFON in North Wales. I really like the cover artwork, what’s the story behind it? We had to do everything cheaply so I asked my brother IFOR WYN to design a cover for the LP and it had to be black and white. My brother was a designer and printer so we were very lucky!! The front cover picture comes from a very old illustration from a book called PILGRIMS PROGRESS by John Bunyan. My brother adapted it and hey presto we had one of the best black and white covers ever! 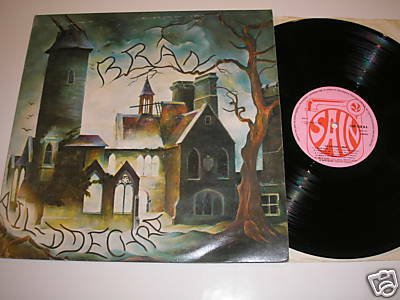 What can you tell me about the label, which released it and how many copies were actually made? The label was called GWERIN RECORDS from South Wales. A small folk/pop label that had a very untidy and unorganised kind fellow as an owner called Dyfrig Thomas. He is now working for independance for our country. I think he made a thousand copies but apparently some were burnt in a fire at his office!? 5. A year later you released Teithgan. I have to ask you again if you can share a story about it? The first LP was very succesful and the record company gwerin wanted us to do another one. They were very supportive and let us record anything we wanted. We had freedom to record any songs or sounds we wished, this was great. The vibe was not so good this time because we had many ”hippie” friends in this brand new great studio called STUDIO SAIN and they all wanted to say something about the songs and the recording and the fantastic producer called ANTONY PUGH was not happy at all with all the arguments and orders from people who were not in the band. The bassist nearly wrecked the recording by walking out on us because we would not listen to his girlfriends views. TOO MANY COOKS SPOIL THE BROTH!! Anyway we had many good songs and we decided to carry on although I knew in my heart that I would never record with some of these people again.Our superb producer saved the day and took all the tapes to LONDON to mix in his own studio in his own time, with no inteferance. He did a brilliant job and charged us nothing for his hard work! He got the phoenics out of the ashes! 6. I know you have connection to Yr Atgyfodiad, Brân and Moniars. Please tell us about this bands. Ail Ddechra album from Brân is such a wonderful album! 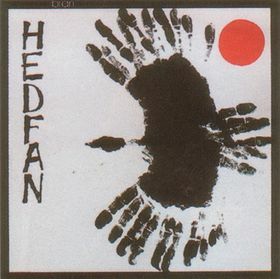 Before PERERIN I had been in a heavy rock band called YR ATGYFODIAD, this band performed in the Welsh language and recorded an EP [it is very rare indeed by now, on the SAIN label]. The recording was too POPy for me so I started to look for musicians to form a real PROG/FOLK ROCK Band. 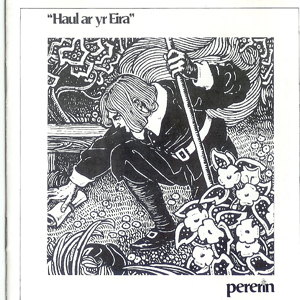 So the other members of Atgyfodiad went on to form BRAN [which means CROW], and they called in NEST LLYWELYN as lead singer who also featured on our first PERERIN album as a guest performer. After performing with PERERIN all through the 80’s I heard a great London-Irish band called the Pouges and I decided with EINION WILLIAMS from PERERIN to form a similar band in the early 90’s called Y MONIARS [which means the Anglesey lads]. We are still playing all over Europe and are still enjoying every minute of it!! 7. Did Pererin ever toured? If so please tell me where and what are some memories from that? Our best tours were in IRELAND and BRITANNY: a small Celtic country in Nothern France. The welcome and reception we had here were amasing. I remember performing in a massive stadium in LORIENT,Britanny when the audience would not let us stop perfoming!! It was a grat moment. We were offered a chance to become poffesional but half the band refused. This was a great opportunity missed! We also had great times in IRISH FESTIVALS like the PAN CELTIC. This is where our Record company saw us perform for the first time and offered a 4 lp contract straight away!! We were so lucky. 8. 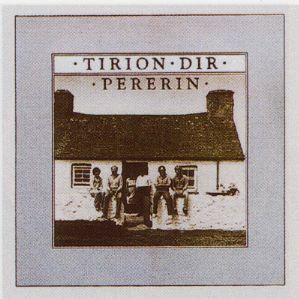 You also released Tirion dir in 1983 and Yng Ngolau Dydd a few years later in 1988. Would you mind sharing a few words about it? After the HIPPIE period of the band PERERIN we decided to go more unplugged and acoustic. Einion Williams and I formed the New PERERIN and this let to two acoustic and very experimental Lps. We are so glad that GUERSSEN RECORDS have released YNG NGOLAU DYDD[ IN THE LIGHT OF DAY] on cd because it was never available on vinyl only on cassette! 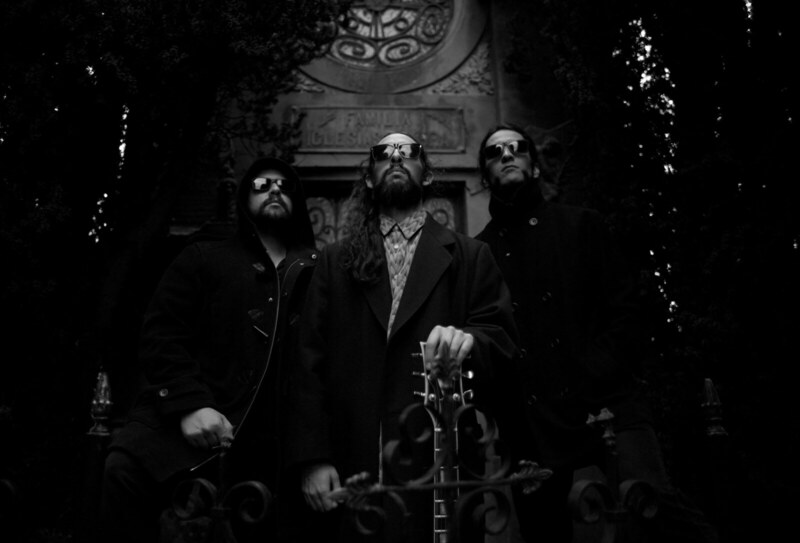 Other members of the original Pererin went on to record as the band ROHAN. We had great times recording both these albums in two different studios out in the countryside. 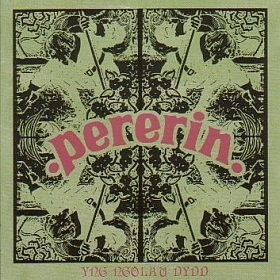 We recorded TIRION DIR at a studio called STIWDIO’R FELIN [an old mill] with LES JONES and then we recorded YNG NGOLAU DYDD at Stiwdio GWIRION with GORWEL OWEN who also produced the famous band called THE SUPER FURRY ANIMALS. Experimenting with GORWEL on the sounds and production was amasing.The unique sounds he got from our chello player are so striking! We shall never forget those great creative experiences. 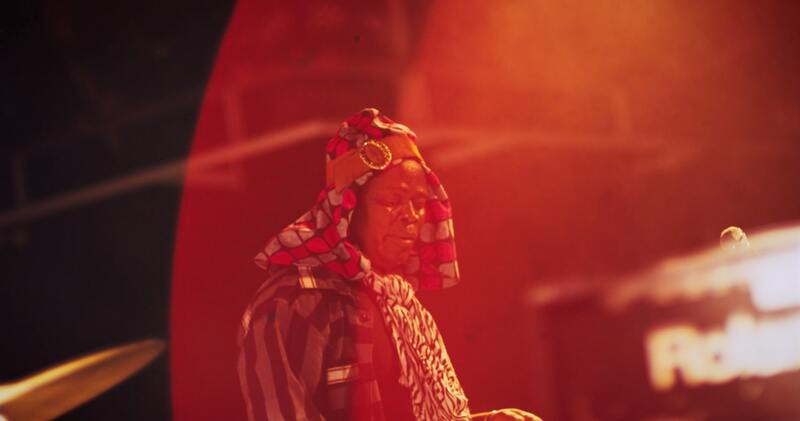 He also recorded and produced the first MONIARS recordings also. The MONIARS have released 7 CDS and we are now finishing our new one called CYN I’R HAUL FYND LAWR [before the sun goes down]. We play concerts allover Wales every week and enjoy lively performances with the audiences taking a full part in the mad dancing and singing.We have just had a new female member who plays an excellent fiddle , her name is JENN JONES. 10. 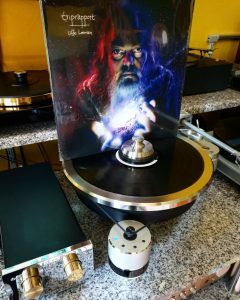 Guerssen Records did a great job re-releasing your album. Did you like it? Guerssen have done a great job and they have made sure that all our hard creative work and composing of songs has not been lost or forgotten. We are very thankful to them and hope to play in LEIDA again sometime. 11. Thank you very much for your time! Would you like to add something else, perhaps? Just a big thank you for taking such an interest in our recordings and songs. You have made sure that PERERINS music will be around and available for a long long time. Diolch/thanks ! !